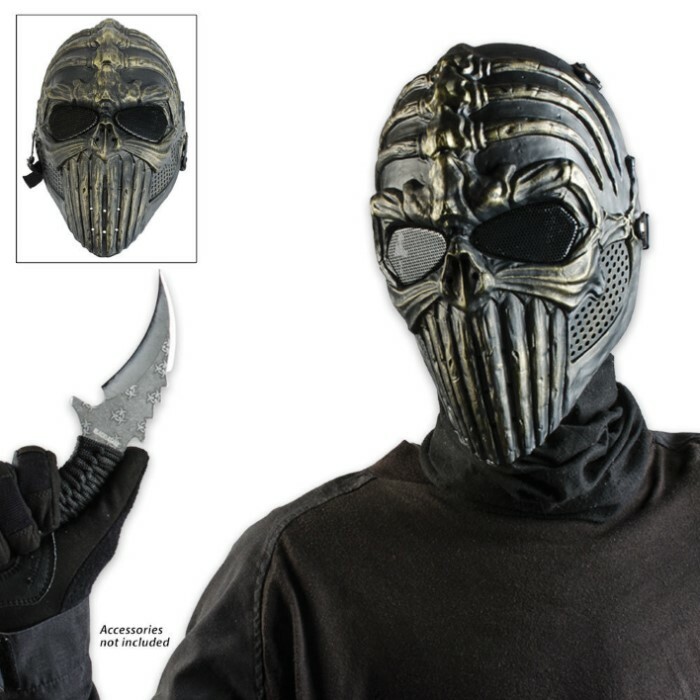 ABS Tribal Warrior Skeletal Facemask Bronze | BUDK.com - Knives & Swords At The Lowest Prices! 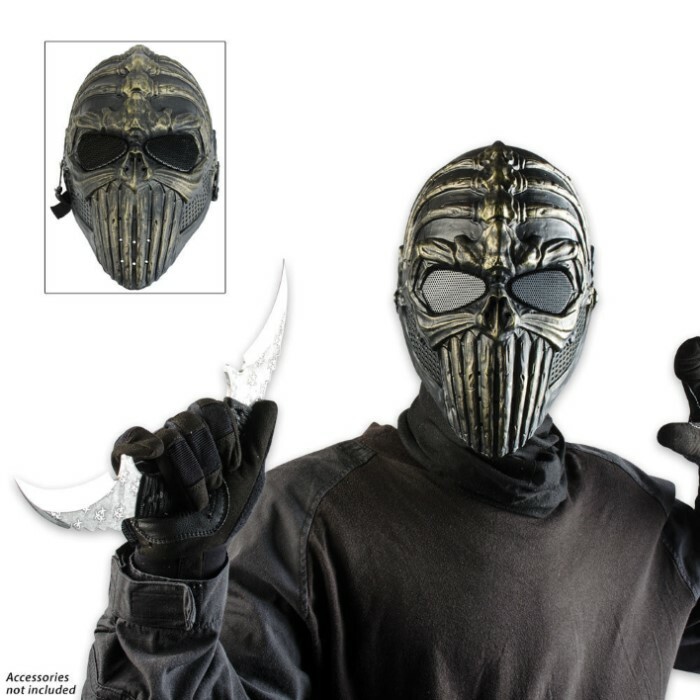 Stand out in the crowd and add some zing to your next airsoft match with this bronze-colored ABS composite Tribal Warrior skeletal facemask. It's flexible and resilient, offering a comfortable fit. The details are stunning and will get you noticed. I ordered this mask a little over 2 weeks ago and I cannot put it down. The quality and detail is BEAUTIFUL. The mask takes a little bit of adjusting but once fixed you'll never need another. 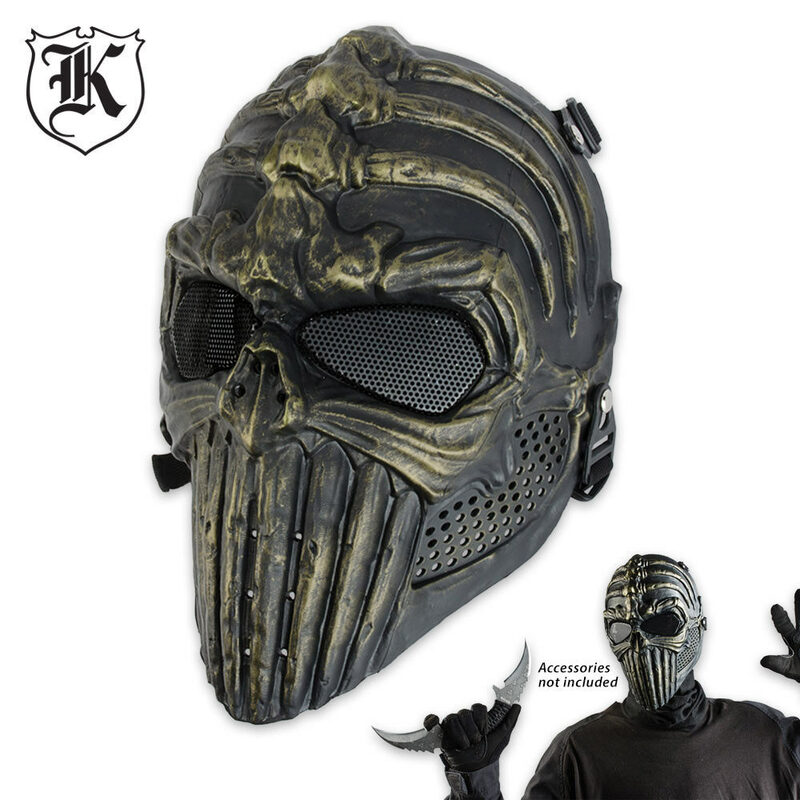 Whether your playing paintball, air soft or prepping for the apocalypse this mask is worth it.